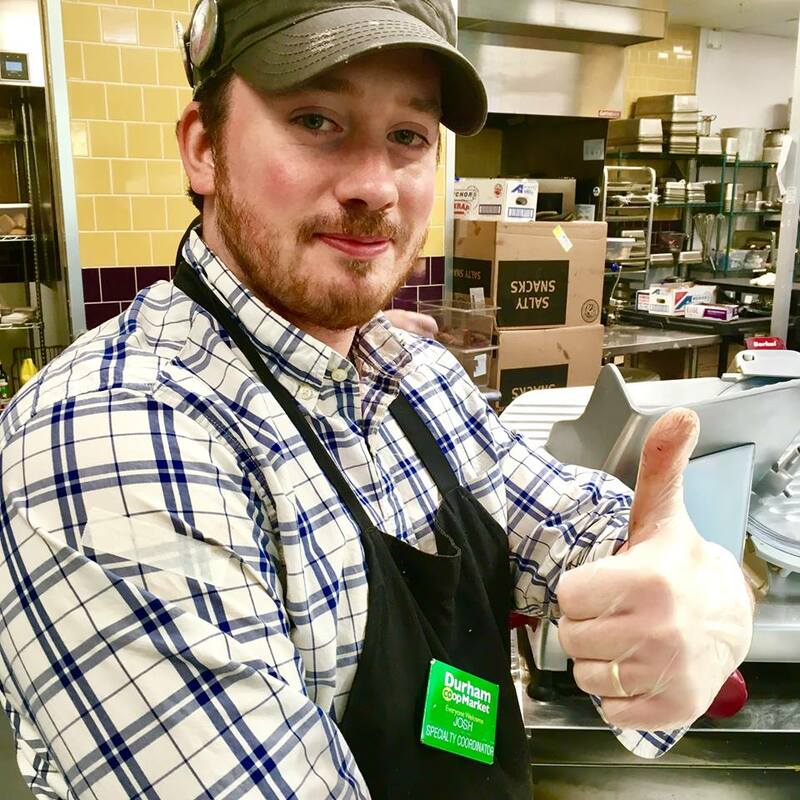 With more than a decade of experience working with cheese and specialty products, Josh Collier, the DCM Specialty Coordinator, is the big cheese around here. 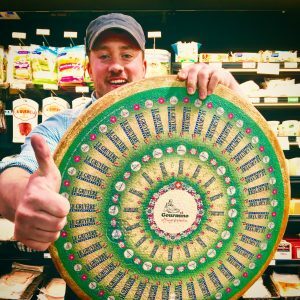 We spoke about the fragrant life of a cheese-monger and how the DCM Cheese counter is breaking the mold. Raafe P.: Have you always enjoyed eating cheese? Josh C.: Yes, as a child my grandmother always had plenty of cheese in the fridge whenever I came to visit. We would often have a cheese plate for dessert. She usually served Wenslydale, or Brie. I became known as a Brie destroyer in my family. R: What is Wenslydale like? Josh: It was acidic, or lactic, with buttery and tanginess, more crumbly. Almost like cheesecake in texture. It is delicious and still one of my favorites. Also a favorite of Wallace and Gromit too! R: Do you bring American cheese back to the UK when you go? J: No, not yet anyway. There are so many great cheeses produced in the UK that I’m often spoilt for choice when I go home. I usually “bee line” for any cheese I can’t find in the US. My wife often gets annoyed with me as I drag her to another cheese shop while we are visiting friends back in England. R: How is American cheese culture different? J: It is certainly more experimental than cheese made in the UK, which is steeped in traditions. It’s comparable to the craft beer scene. There are young people who are bringing new energy into their love and production of their cheese. There are fewer rules allowing them to foster the culture of creativity. As Josh and I spoke about the state of Cheese in America he informed me of the traditions, tastes, and most importantly the trade of cheese. Creating cheese is a lengthy process that starts with the grazing of the live stock. Many people don’t know how the feed shapes the final cheese and creates these long standing varieties that now have unfortunately started to fade as farms both in the UK and America stop operating. J: I have been excited to bring in a range of cheeses to the Co-op from farms in the UK where often they are the only farm making that cheese. Neal’s Yard Dairy is a company based in London that works with many farms to revive these cheeses close to extinction. The Sparkenhoe Red Leicester we are carrying is the perfect example of this. The traditional version had not been made for 40 years until 2005 when the Clarke family began production on their farm. R: Is this your mission because of your heritage? J: Yes and no. I definitely have a strong passion for British cheese, but also I think it’s really important that we preserve the cultural heritage of all cheeses. It’s like living history – it is fascinating reaching back in time and being able to taste cheeses that our forbearers enjoyed. Plus without the cheeses of our past there would be no stepping stones for future cheese makers to build on. A lot of cheeses being produced in the States are inspired by cheese of the Old World. R: What was your first job with cheese? J: Well my first job in cheeses was at Paxton & Whitfield in London. The company was established in 1797 and holds the Royal Warrants to the Royal Households including Buckingham Palace, so during the holidays the store would become a destination for cheese lovers to buy their Holiday supplies. I remember queues stretching out the store and down the street as people patiently waited to buy the perfect chunks of cheese. It was my favorite time of year – it was so festive and it’s that kind of atmosphere I’m keen to recreate at the Co-op. R: And now you are at the DCM educating people on Gouda versus Gruyere. J: Well, I will be formally at The Makers Lab@ Northgate Mall for the Durham Public Library on Dec. 6th educating people. R: Oh, what are you teaching? J: How to make a well balanced holiday cheese tray, which means there will be plenty of cheeses to sample!! R: So what is the future for Josh the Cheesemonger of the DCM? R: And this well curated. J: *chuckles* Yes, but also accessible. I believe we have something for everyone here. From a first intrepid adventure in cheese, to fully fledged cheese fanatic, I’m sure we have a cheese to suit all tastes and desires! R: So in short. 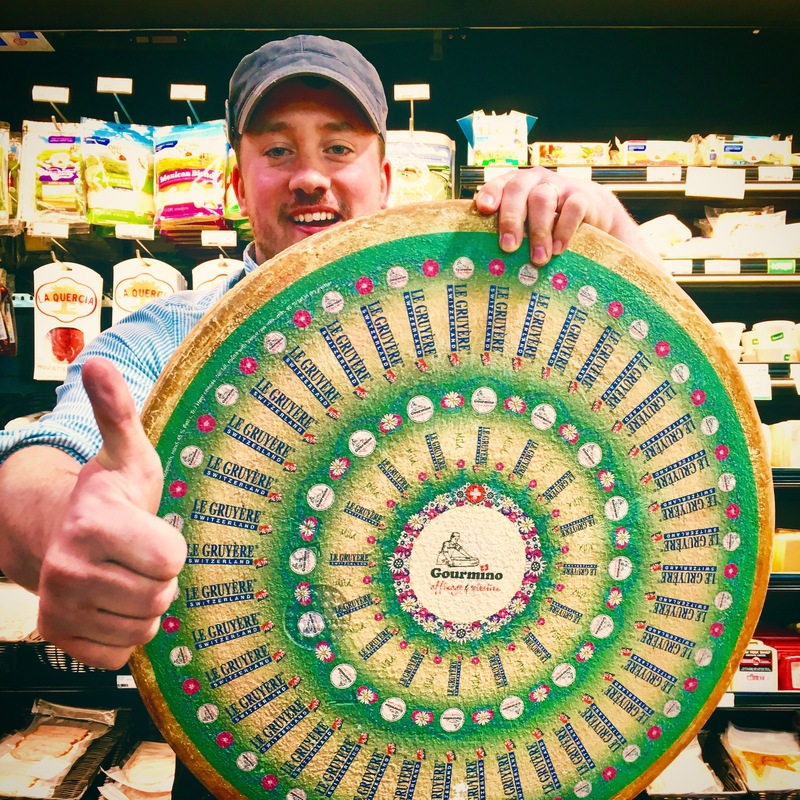 Cheese, Royalty, History, Preservation, Craft Beer, Innovation, and No rules just eat? J: And see you at the “The Maker Lab”@ Northgate Mall on Dec. 6th at 5:30pm.